How can I measure a love with no boundaries? How can I weigh Christ’s sacrifice? 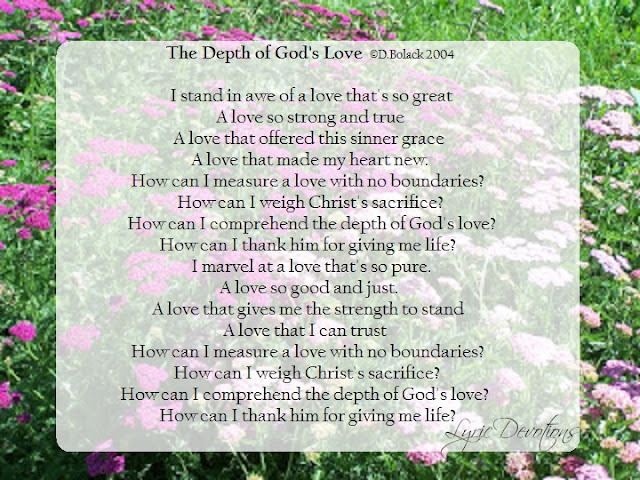 How can I comprehend the depth of God’s love? How can I thank him for giving me life? a love that made my heart new. a love that I can trust. How can I thank him? How can I thank him? 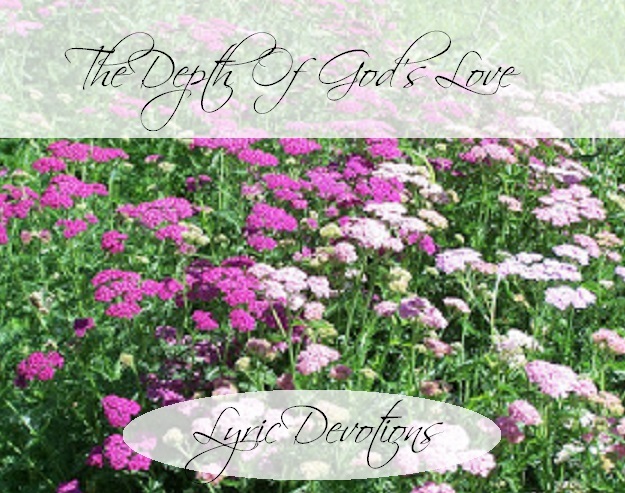 How can I comprehend the depth of God’s love? To think that God loved me enough to send his only begotten Son down from the glories of heaven to become the sacrifice for my sins, is truly an awesome thought! But even more wonderful is the knowledge that he not only forgave me and saved me the day that I cried out to him in repentance, but he continues to forgive me again and again each and every time I ask him. He never turns me away, he never refuses to forgive, he is always long suffering and slow to anger. If only we, who call ourselves Christians, could have a fraction of that kind of love for each other, and for the lost, what a difference we could make in this fallen world! Psalm 103:8-10 The Lord is merciful and gracious, slow to anger, and plenteous in mercy. He will not always chide: neither will he keep his anger for ever. He hath not dealt with us after our sins; nor rewarded us according to our iniquities. Ephesians 4:32 And be ye kind one to another, tender-hearted, forgiving one another, even as God for Christ’s sake hath forgiven you.